This class consists of NISSEI, NAGATSU, HISATSU, INABASAN, IWASHIRO MARUs and FUKUEI MARU No. 17, completed between Mar ‘42 and Mar ’44 for various shipping companies. NISSEI MARU and FUKUEI MARU No. 17 were requisitioned by the IJN, the former being converted to an auxiliary transport and the latter used as a general requisitioned transport. NAGATSU MARU was requisitioned by the IJA as Army transport No. 2206. The others remained under civilian control. NISSEI MARU was torpedoed and sunk by a USN submarine in Nov ‘42, IWASHIRO MARU and FUKUEI MARU No. 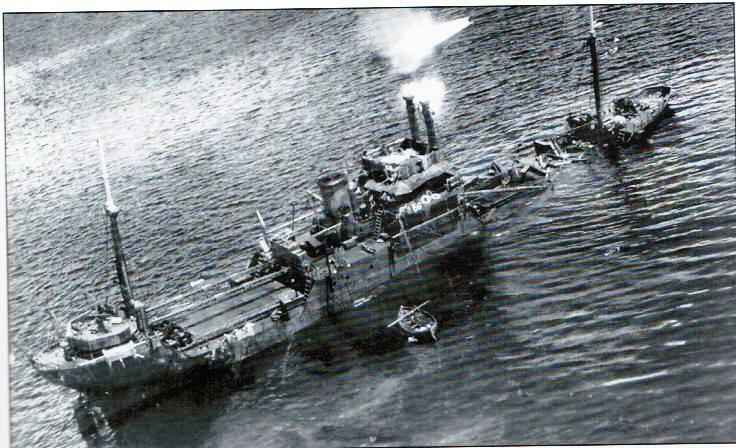 17 were bombed and sunk by USN Aircraft in Sep ’44. The others survived the war: INABASAN MARU was broken up in ’69, NAGATSU MARU deleted in ’79 and HISATSU MARU deleted in ‘92. Propulsion: One diesel engine, 1 shaft, 600 s.h.p. Speed: Cruising 12 knots - Max?